BOXING legend Jack Johnson may be granted a presidential pardon over a conviction - now seen as racially motivated - that saw him jailed for a year. Johnson was the first black world heavyweight boxing champion after winning the title in 1908. He served nearly a year in prison for transporting white women across US state lines for immoral purposes in 1913. He died in 1946. Now the US Congress is urging President George W Bush to issue a pardon. A resolution says his imprisonment was "racially motivated". A similar resolution,sponsored by presidential candidate John McCain,is to go before the Senate. John McCain and I disagree on some issues,however we share a love for boxing . McCain is one of the few politicians that has taken a stand for creating a federal boxing commission.This would have been more effective when boxing champions were American. With boxing champions coming from across the globe ,the effectiveness of another federal commission with tax dollars would be fruitless. 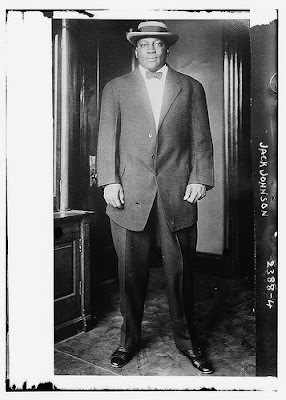 What would not be fruitless,is pardoning the great champion Jack Johnson. We must do the right thing and pardon Johnson who was the ultimate victim of an high tech lynching. The United States government regardless of who is elected president must pardon Jack Johnson. My mother participated on the March on Washington in 1963 , on that August day she was joined by celebrities that included Paul Newman. My mother was always impressed by Newman's presence at the March.Mom indicated that celebrities had it easy, and they "didn't have to try to improve the condition of the people". Paul used his celebrity to champion many causes for the betterment of humanity.Paul Newman left an legacy that included , being an accomplished actor by winning the prestigious Academy Award .Paul also was an sportsmen ,sponsoring an Indy racing team among his many ventures. Paul Newman products include the famous popcorn and salad dressing products. "Paul Newman's Own" donated his profits to charities. Newman's favorite charities were those involving children . Newman's politics landed him opposite some of the most powerful Republican politicians of his era. President Richard Nixon had him on his "enemies list" ,because of his deep seated involvement in Democratic party circles. In 1968,Newman was a delegate to the Democratic convention as a delegate for Eugene McCarthy . Among my favorite movies were " Butch Cassidy and the Sundance Kid","The Sting",and "Cool Hand Luke". 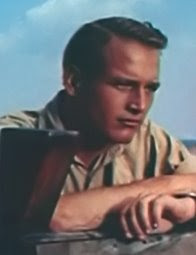 All classics ,with Paul Newman like it was with my mother there was never a failure to communicate. Last month Reverend Al Sharpton and former Speaker Newt Gingrich met at the Republican Convention in Minneapolis. These two leaders were not yelling and screaming at each other over politics, they were coming together for the children of America. My involvement with my Republican friends ,began with education because it is the most critical for the future of our country. We all have to put aside our political biases and put our children and the future above all else .Whether you are a Republican or Democrat ,conservative or liberal , the children should and will come first. All our children have the same fears ,they attend schools where the signs on the door indicate that it is a gun free zone. When I was a kid we did not need a sign to assure us that we were safe. The children in this country contend with all the ills of society at an much earlier age than we did. This is as President Kennedy once eloquently stated "it is not a victory of party " it is about our legacy. What all Americans are concerned about is ultimately the same. We must decrease the drop out race , and increase our educational achievement. We must all come together.It is through this that Newt and Al met in Minneapolis,to find solutions. In education there are no Republicans or Democrats ,only children . God Bless America, God Save the Children . I have known Michael Williams for over two decades. Michael is a friend of mine . Well enough of my Lloyd Bentsen imitation .Let me get to the real deal .I am a fervent supporter of Michael Williams .I have known Chairman Williams to be one of the best and qualified members on the Railroad Commission . During Chairman Williams' tenure ,I have seen him guide this state and its energy commission for two terms to bring Texas and , yes the nation to energy self reliance. I am apparently not alone in the observation that Michael Williams is good for Texas. Check out what my hometown Dallas newspaper has to say . We recommend Michael Williams for another term on the Texas Railroad Commission, though we do so with some reservation, despite the fact that he's clearly the most knowledgeable, experienced candidate for the panel that oversees much of Texas' energy industry. He has served on the commission since 1999 and is in his second term as chairman. He understands Texas' energy needs far better than his challenger, Austin Democrat Mark Thompson, who can't get beyond the broadest of generalities when discussing energy issues. Williams deserves credit for trying to bring a federal cutting-edge fuels project to Texas. That effort failed, but he's working now on plans to develop Texas coal with fewer emissions. Jazz great,and former NBA star Waymon Tisdale has cancer.As a result of the cancer he has lost his leg ,and has stopped touring temporarily.Tisdale you might remember was an All American at Oklahoma in the 1980's and was the second pick in the 1985 NBA draft.Tisdale earned a gold medal in the 1984 Olympics and then turned pro. The NBA made him the second choice in the 1985 draft ,behind Patrick Ewing.Tisdale went on to have a successful 12 year career with the Indiana Pacers,Sacramento Kings,and Phoenix Suns.Tisdale retired from basketball in 1997,before he did that he started his jazz career by releasing his first of many cd's .The appropriately titled "Power Forward " which climbed to number four in the jazz charts and receiving substantial cross over appeal in the R & B charts. Waymon 's greatest accomplishment is his relationship with Christ and his family .Let us pray for Waymon and his family.The Lord is good and is working a testimony through Waymon. Waymon LiVe oN sTaGe ! Former Secretary of State Colin Powell has yet to endorse a presidential candidate . From this CNN report it appears that he is leaning to Barack Obama.Powell is a known moderate in Republican circles,a self professed "Rockefeller Republican", he has voted for Democratic and Republican candidates. 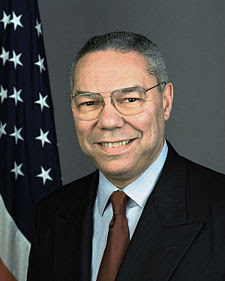 Powell has stated " I will vote for the candidate I think can do the best job for America, whether that candidate is a Republican, a Democrat, or an independent" .General Powell is a true patriot , that we all can be proud of ,and his opinion will be influential in this election. Powell, a Republican, has said he may not back the GOP pick this cycle. (CNN) — Former Bush Secretary of State Colin Powell said Monday that he has not yet decided which candidate to back in this year’s presidential race. Powell's full comments will air on “The Next President: A World of Challenges” this Saturday night at 9pm ET and again Sunday at 2pm ET. Last month, as the retired general’s office denied a report that he had decided to publicly back Barack Obama at the Democratic National Convention, several sources told CNN’s John King that Powell was still undecided. “As always, he is holding his cards close and waiting for more information," one adviser close to Powell told CNN’s John King. Earlier this year, Powell told CNN’s Wolf Blitzer that he was weighing an endorsement of a Democrat or independent candidate. “I am keeping my options open at the moment,” said Powell. “I have voted for members of both parties in the course of my adult life. 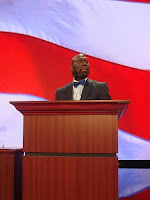 And as I said earlier, I will vote for the candidate I think can do the best job for America, whether that candidate is a Republican, a Democrat, or an independent,” he added. Powell also offered praise for Obama, calling him an “exciting person on the political stage. Last month, a Powell adviser told CNN that "he likes and admires John McCain, and that would be a factor in anything he does if he decides to get more involved." Another source close to Powell said that he has known McCain for more than three decades “and likes him, and is looking for a reason to vote for him. He hasn't found it yet." A friend of mine sent this to me .A strange year . Reverend Al Sharpton buddies up with Newt Gingrich ,and now this ,Bill O'Reilly praises Barack Obama .I am not saying that O'Reilly is wearing an Obama sticker on his Benz , but it sure sounds like Obama has charmed Bill. Read Bill's comments and observations on Senator Barack Obama. Check out the video blog on Bill and Barack talking about the economy. A lively conversation that is a must see. Like him or not, you have to give Barack Obama credit for waging a smart, focused campaign. Destroying the Clinton machine was a major achievement and so was putting together a successful convention in Denver. Obama is now firmly a part of U.S. history, no matter what happens in the presidential election. The problem some Americans continue to have with the Senator is that he is long on charisma but short on detail. This frightens some voters. Who the heck is this guy, anyway? So when Obama finally agreed to speak to me this week, specifics were on my mind. First, the man. The Barack Obama I witnessed is self-confident, determined and driven. He was acutely aware of his surroundings from the moment he entered the room. He looks you in the eye and touches your shoulder. He understands how to connect one-on-one. As far as philosophy goes, Senator Obama is convinced that the federal government should be in control of income distribution and, to some extent, should regulate the free marketplace. That is a classic liberal position, and Obama promotes it well. The Senator also believes that poor Americans have a basic right to free health care and monetary supplements from the government with no strings attached. The American substance abuser, for example, would derive the same benefit as a hard working, laid off worker would. Again, classic liberalism. No judgments made regarding entitlements. So, if Barack Obama does become president, there will definitely be change. His left-wing base will demand it, and he will come through. You can decide if that's change we should believe in, but keep in mind that the unintended consequences of government interference in the marketplace are impossible to predict. Free markets have a way of chafing under government imposition. On the foreign policy front, Obama has convinced me that he is tough but cautious. He rose up quickly because he vehemently opposed the Iraq war. But now I see a man who understands the victory that has taken place in Iraq. I don't believe he wants to screw that up. I could be wrong. After going mano-a-mano with Obama on television, I am also persuaded that he is a sincere guy-that he wants the best for all Americans. He's an ideologue, but not a blind one. He understands that his story is incredible, and, I have come to believe, he is grateful to the American system for allowing it happen. It is true that we don't know whether Senator Obama has the ability to solve complex problems, but you can say that about all presidential contenders. Like most politicians, Obama has used guile and good luck to accumulate his power. He can be ruthless, kind, unfair, and generous. In short, he's a real person trying to achieve an unreal position-that of the most powerful person in the world. During this political season we have seen political ads extolling bipartisanship.All Americans from the school boards to the White House must do this to improve our country.Two of my favorite ads are shown here to show the contrasts that must be overcome between Democratic and Republican , conservative and liberal. When a leader reaches across the political aisles they risk total estrangement from their political base, and rejection from the opposition. That is why it bipartisianship is done with irregularity. You have to be a remarkably strong leader to attempt this , let alone to be sucessful .Bipartisan governing is truly a lost art form. Two political masters come to mind that have sucessfully navigating those turbelent waters. Ronald Reagan and the boll weevils Democrats in the 1980"s were the latest sucessful attempt .This resulted in moderate-conservative Democrats becoming alienated from their party and subsequently leaving it for the Republican party. In the 1960"s LBJ and the moderate Republicans passed the Civil Rights legislation which overcame resistant conservative Democrats. To my Democratic friends and Republican friends lets come together for a new America , for the betterment of all Americans. Here is another example of bipartisanship ,lets all get on board. Nancy Pelosi and Newt Gingrich talked about climate change .We need to get Nancy and the GOP to talk about energy legislation .When we fill up our tanks and send our money to the Middle East,being a Democrat or Republican does not matter. Sen. John McCain has wiped away many of Sen. Barack Obama's pre-convention advantages, and the race for the White House is now basically deadlocked at 47 percent for Obama and 46 percent for McCain among registered voters, according to a new Washington Post-ABC News poll. The presidential contest is also about even among those who are the most likely to vote in November: 49 percent for McCain, 47 percent for Obama. Some Americans have decided that the Palin nomination was the deciding factor in their decision. The Palin candidacy has closed the "enthusiasm gap" in the Republican party .The media so far has treated Gov. Palin with kid gloves , almost afraid to touch her without offending womanhood and Christians. This will change as more is known about her. I am not referring to her family life ,I am referring to her governance in Alaska. Barack meanwhile has been passive in his campaign for fear of not wanting to upset some voters by apearing to be the angry black man.Therefore any attacks , and there will be many in the upcoming weeks will come from the vice presidential candidates . Barack and McCain will both strive to be presidential and take the high road , while the vice presidential nominees will take the low road . Sarah "Barracuda” Palin versus Joey "Pit Bull" Biden ,it should be interesting. The McCain camp is buying the tonic that Biden and the Democrats will not attack Palin because it risks antagonizes the women supporters. Biden has indicated that Palin is fair game and that a debate is an debate . Its for the presidency ,the right to be the leader of the free world ,this will be different than conducting zoning meetings in Wasilla ,Alaska .Stay tuned for the fireworks and the fights. The conventions are at last over .The choices for vice president have been made. The speeches have all been made. McCain now says he is the agent of change.Obama says he is the real change agent.The people want change ,they just don't know what it is , and how much change .Sarah Palin was picked primarily because she is conservative and a woman.Biden was picked because the Democratic establishment said Obama needed some foreign policy experience credentials. Americans will pick the candidate that they feel will be able to govern with clarity and purpose. Lets lighten up the mood for a moment, and take a look at the cartoon from Jib Jab . This cartoon was created before the Sarah Palin nomination ,therefore there is no mentioning of her.Check it out , it is satire on both presidential candidates and their campaigns. My heroes have always been Cowboys. Dallas Cowboys that is . When I was a kid , one of the first Dallas Cowboys I met was Bob Hayes . It was 1967 and "Bullet" Bob Hayes was the reigning fastest man on the planet .I attended the school across the street from his house and it was routine for him to wave to us kids on our way home . As a young man ,I idolized the original 88 , Drew Pearson , and cheered when he caught the "Hail Mary" pass from Roger Staubach. When Roger "the Dodger"retired , my devotion to the Dallas Cowboys did not. My high school year book contains a signed autographed picture of his successor Danny White . Even in the lean years I cheered the Dallas Cowboys.I laughed during the torrid heat wave of 1980 when "Crazy Ray" Jones had an parka on as he whistled at commuters on Commerce Street while shivering during an 110 degree August day .Years later I mourned with the Jerry Jones family at the "Crazy Ray " memorial service, and shared my memories with the Jones family.I mourned in a different way the firing of Tom Landry , and welcomed Jimmy Johnson to the Dallas Cowboy family.I hoped he would return to us the glory days. I didn't have to wait long. I had the pleasure of meeting all of the triplets on three occasions.I met Troy Aikman at a hospital ,met Emmitt Smith at a friends birthday party. Guess what ? Emmitt was a good dancer even back in the day. I talked to Michael Irvin about football and life. I have gotten a little older , however my passion for football has not changed. I love football and Dallas Cowboy football in particular.I have done charity work with Larry Brown , discussed Machavelli with Calvin Hill.I have had the pleasure to know many of the Cowboys in other aspects of their live. A class act was Herschel Walker, who was always patient with the fans. Thank you Herschel , for allowing me time to share with your family at your book signing. There is obviously more to life than football ,but I want to thank all the Dallas Cowboys for providing joy in my life. From touring Valley Ranch with Robert Newhouse ,to talking about drug abuse with "Hollywood" Henderson, to telling Nate Newton that he had an imposter on MySpace , its a been quite a ride. It just leaves me to ask , "How about them Cowboys ? " John McCain's choice for vice president has energized the Republican base.While many pundits , bloggers ,and politicos , have debated the merits of the vice presidential nominee ,the Republicans have circled the wagons.The "intensity gap" has been fulfilled .The election and support of McCain relies on the GOP faithful.Up until Palin ,conservatives supported McCain the way you make pay a bill collector.Its something you do . The campaign that many had said was lagging in enthusiasm has now rallied behind John McCain - Sarah Palin ticket .The conservative base has always been leery about McCain and has supported him because the country as a whole has wanted change . Change agents are in this year. The Republican establishment does not want the change that Barack Obama wants , and it also needs and wants a clarification of the changes that John McCain espouses. The word maverick in itself is a scary thought for many conservatives that do not see McCain as a true conservative. The only way to satisfy conservative concerns is to pick a vice president that can rally the base. So who could McCain pick ? If McCain picked a Washington insider it would be more of the same. No room for change there .If McCain picked a young vice presidential candidate ,that would counter some of the youth angle from Obama. Obama was weak in sustaining support from women over age 40,specifically those past Hillary Clinton supporters.A woman vice presidential candidate would put those voters in play. Out went Governor Tim Pawlenty (Minnesota) he had all the qualifications except gender.Out went Mitt Romney ,he was an outsider ,too much of an outsider he was a Mormon.Out went Kay Bailey Hutchinson ,she is a woman ,and experienced ,problem is too much experience, McCain wanted youth to be served. Now that leaves Sarah Palin,a young , energetic , photogenic , governor from an exotic place ,Alaska. Sarah Palin is a candidate that has the following qualifications. Young energetic,photogenic ,outsider from Washington ,and yes a woman . Look at these angles ,the personal story of the avid hunter , a evangelical Christian , mother of five .Palin opposses abortion , supports the military and is a fiscal conservative.A woman in the year that women will be crucial in the election process. The fact that her daughter is pregnant was not a factor in disqualifying Palin because it could be perceived as attacking a 17 year old not the candidate . Palin fills the boxes that most conservatives want in the vice presidential nominee and in the Republican platform .Check it out .Palin is pro life.Second Amendment (she hunts moose for crying out loud ), pro drilling , Palin is a big proponet of drilling as she is from Alaska.Spending cuts , she gave up the Alaskan executive jet as one of the perks of her office. McCain was more than satisfied with Palin and threw caution to the wind.If you like the choice or not ,it didn't matter to the maverick.The McCain campaign needed some buzz ,and choosing Palin it created the buzz factor. This election is close and it will be closer.If white women will be the deciding factor, and the Republican energy base needs to be satisfied this choice was smarter than most people will give credit .